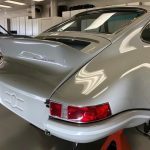 A one piece tailbase and decklid for 911 or C2. Six way adjustable top wing. Six louver top grill with an aluminum grill screen. Stainless steel mounting hardware. Carbon Fiber versions are delivered with an opaque surface coat on the base and a clear carbon top wing. 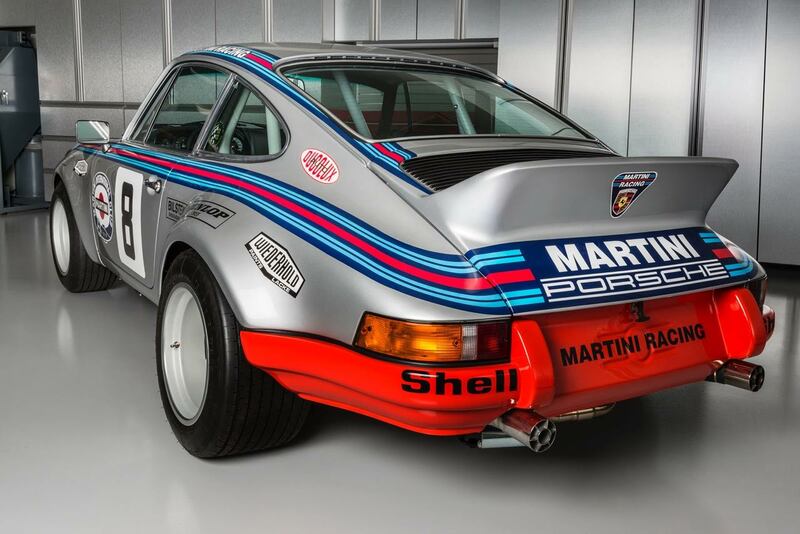 A smaller narrow body version of the original 3.8 RSR tailbase. A one piece tailbase and decklid. Proportionally smaller to fit SC bodied 911/C2’s. Externally adjustable top wing. Six louver grill with aluminum screen. Stainlness steel mounting hardware. 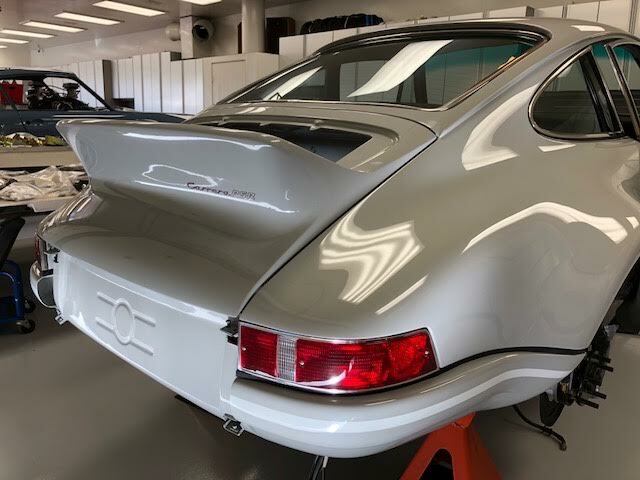 A one piece tailbase and decklid for 911 and C2. Six way adjustable wing. Nine louver grill (for Turbo applications) with an aluminum screen. 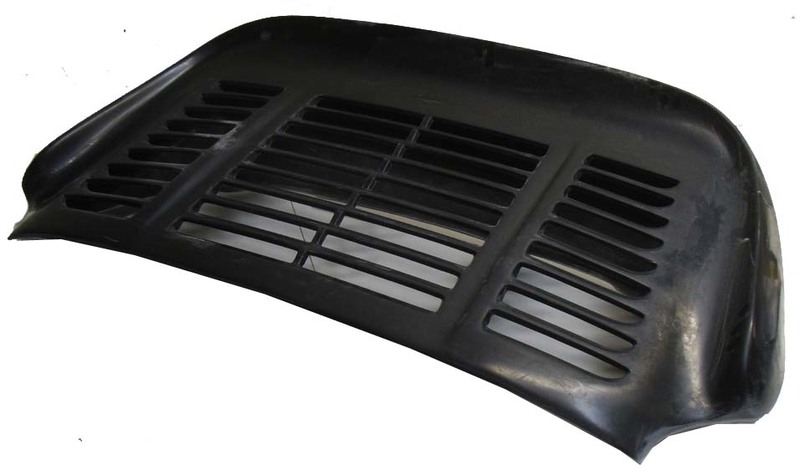 Fully vents most stock Porsche intercoolers. Stainless steel mounting hardware. 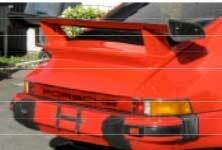 A one piece tailbase and decklid for 911 or C2. Twin air inlet styling. 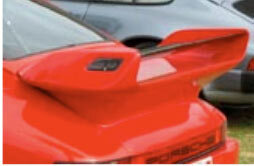 Curved “cup” style top wing. Four way externally adjustable. 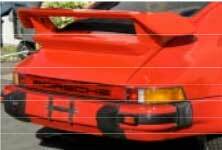 The full width top grill is the new seven louver 993 turbo style. Complete with an aluminum screen. Stainless steel mounting hardware. 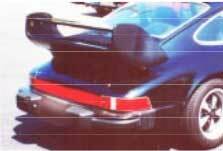 A one piece tailbase and decklid for 911 or C2. 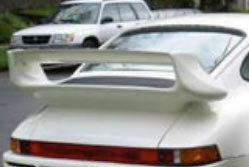 Factory GT styling, twin air inlets and integral seven louver 993 turbo style grill. Correct six way adjustable, curved top wing element. Complete with aluminum screen. Stainless steel mounting hardware. Recommended for normally aspirated engines ONLY! 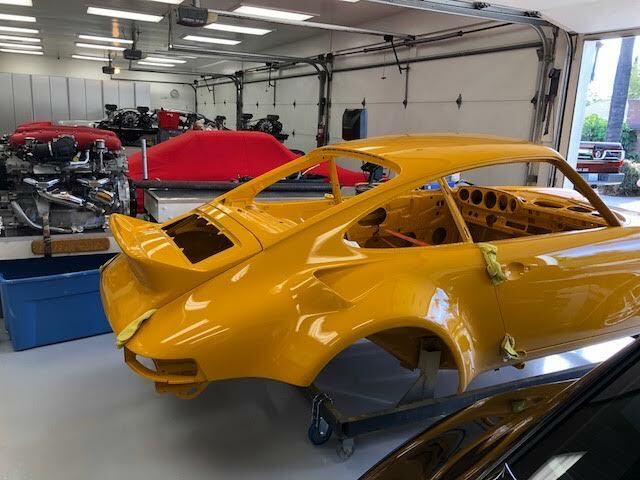 A one piece tailbase and decklid for 911 and C2. Twin air inlets, slightly larger sides than the GT 912. Four way, externally adjustable wing. Straight top wing element. 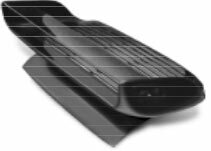 Integral, 930 style, nine louver top grill section. 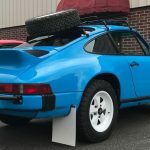 Clears most stock Porsche intercoolers. Complete with aluminum screen. Stainless steel mounting hardware. 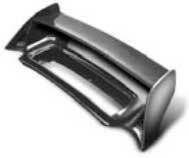 1997 “cup” style 50” wing element comes complete with integral vertical attachment flanges. It is considered a high down force/low drag wing. Requires mounting brackets. Shown with optional CF end plates ($150). 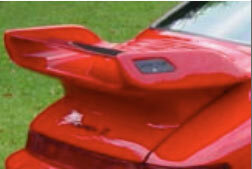 1997 “cup” style 60” wing element comes complete with integral vertical attachment flanges. It is considered a high down force/low drag wing. Requires mounting brackets. Shown with optional CF end plates ($). The “banana wing”. A big, 60” wing. 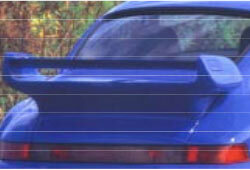 Originally used on the 1998 993 GT II race car. CNC aluminum mounting brackets are installed in the wing. Shown with optional CF end plates ($150) and wicker bill ($100). 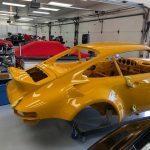 NEW for 911 or C2. 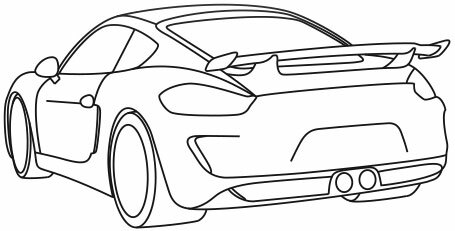 A 996 GT3 look tailbase now for 911. Stainless steel mounting hardware. Requires a 911 plastic grill. Version 1: GT3 top wing. Superb fit and finish. 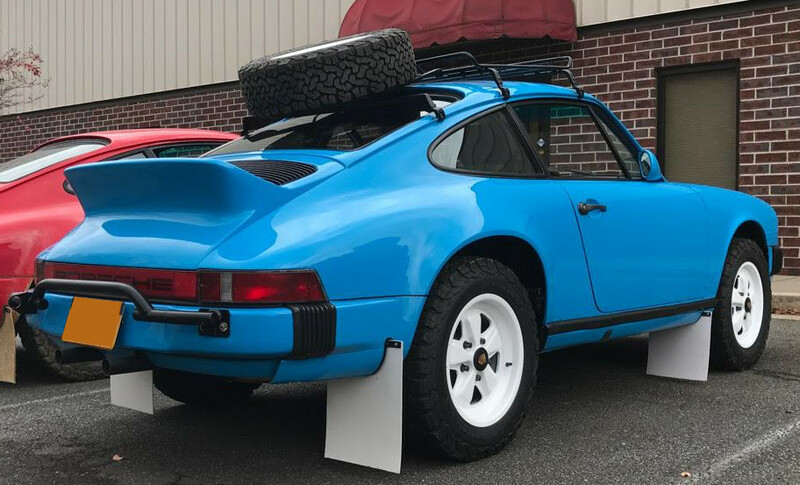 NEW for 911 or C2. 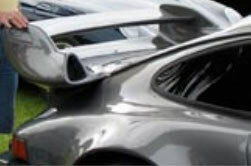 A 996 GT3 look tailbase now for 911. Stainless steel mounting hardware. Requires a 911 plastic grill. 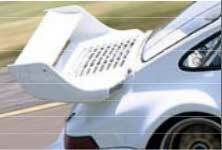 Version 2: GT2 top wing. Superb fit and finish. 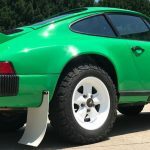 NEW for 911 or C2. A 996 GT3 look tailbase now for 911. Stainless steel mounting hardware. Requires a 911 plastic grill. Version 3: RS 55” top wing. Superb fit and finish. 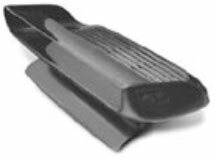 Original 1973 style RS Ducktail, but designed to use the later model black plastic grill (not included). Excellent fit and finish. 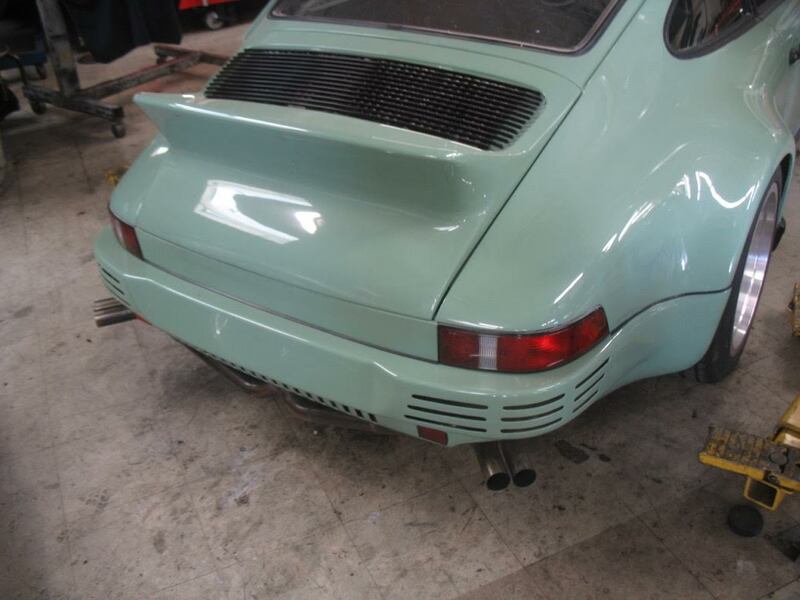 Original 911 RS Ducktail. 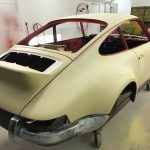 This is the best fitting, highest quality Ducktail available. 911 IROC. 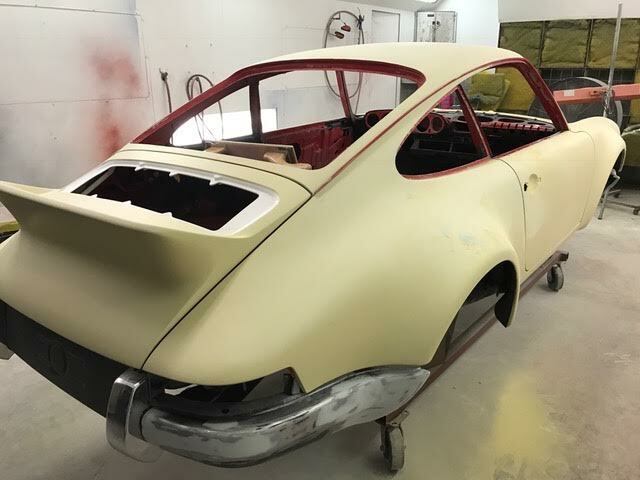 A one piece wing and decklid. Direct bolt on to all 911 or C2’s. 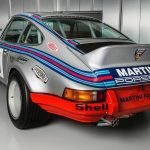 First of the adjustable 911 based bi-wing tailbases. 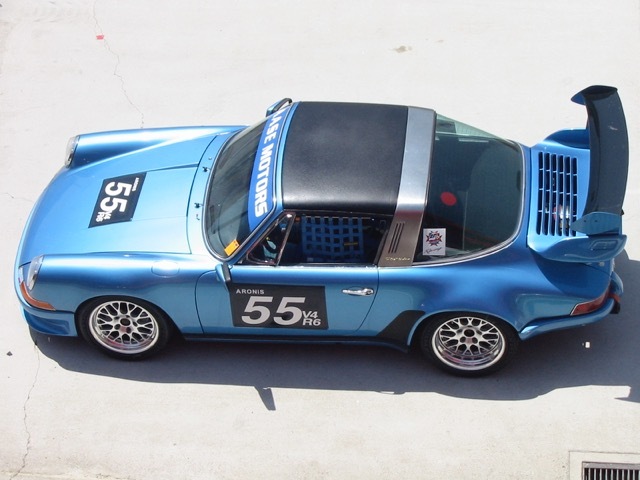 Originally used on twin turbo 911’s at Lemans. Air ducts in front corners. 50” straight top wing. Complete with an aluminum screen. 993 Clubsport styling in a less expensive alternative. Open liner, four way externally adjustable. Approximately 10 pounds lighter than a Clubsport. 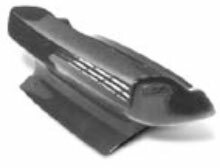 Excellent tailbase to use in conjunction with a larger EVO top wing. Requires a 993 plastic grill top. 993 Turbo S styling in a new 911/C2 insert tailbase. This is an insert wing that fits into the decklid grill recess. 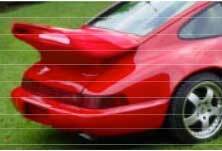 Fits C2 or 911 decklids. Twin air inlets and 993 Turbo style top grill. Aluminum screen. Carrera style. One piece with no rubber trim edge. 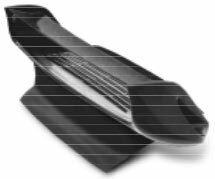 This is an insert wing that fits into the decklid grill recess. 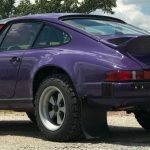 Fits C2 or 911 decklids. Complete with an aluminum screen. Bolts onto 930/911 decklids. 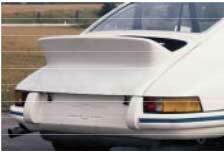 This is the last version of the factory 930 whaletail and is the direct predecessor of the 993 Twin Turbo tailbase. This is an insert wing that fits into the decklid grill recess. Complete with an aluminum screen. German after-market styling. This is an insert wing that fits into the decklid grill recess. Non-adjustable, removable top wing. Complete with an aluminum screen.